From our Decor Collection: This stunning pale pink beaded fringe trim is 2" in length, not including the 3/8" pink satin ribbon. 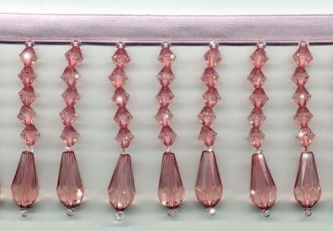 The transparent pink beads are accented with seed beads in clear. 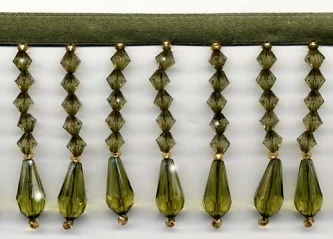 The Decor Collection is a fabulously heavy and beautiful beaded fringe trim. 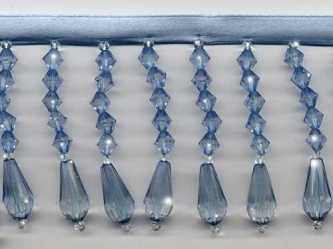 From our Decor Collection: This stunning pale blue beaded fringe trim is 2" in length, not including the 3/8" baby blue satin ribbon. 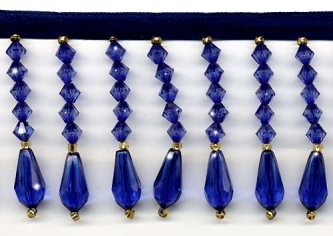 The transparent blue beads are accented with seed beads in clear. The Decor Collection is a fabulously heavy and beautiful beaded fringe trim. 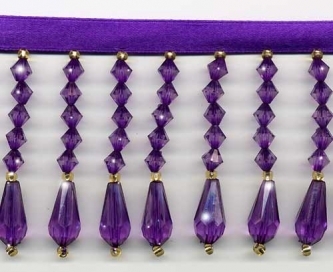 From our Decor Collection: This stunning rich purple beaded fringe trim is 2" in length, not including the 3/8" purple satin ribbon. The beads are accented with seed beads in gold. 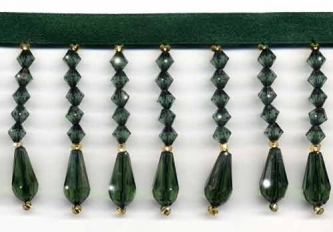 The Decor Collection is a fabulously heavy and beautiful beaded fringe trim. 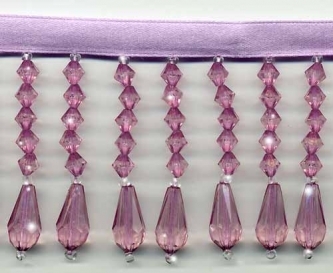 From our Decor Collection: This stunning lavender beaded fringe trim is 2" in length, not including the 3/8" lavender satin ribbon. The beads are accented with seed beads in clear - just beautiful! 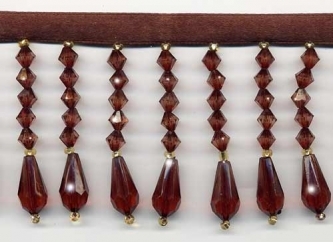 The Decor Collection is a fabulously heavy and beautiful beaded fringe trim. 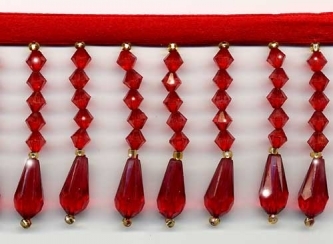 From our Decor Collection: This stunning burgundy beaded fringe trim is 2" in length, not including the 3/8" deep burgundy satin ribbon. The beads are accented with seed beads in gold. The Decor Collection is a fabulously heavy and beautiful beaded fringe trim. 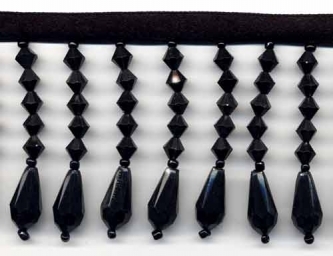 From our Decor Collection: This stunning black beaded fringe trim is 2" in length, not including the 3/8" black satin ribbon. The beads are accented with seed beads also in black. 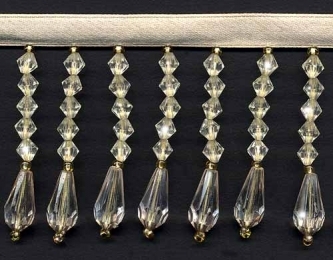 A perfect trim for a formal dress or decor. The Decor Collection is a fabulously heavy and beautiful beaded fringe trim. 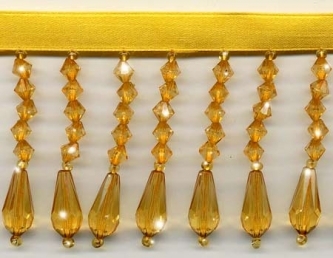 From our Decor Collection: This stunning rich gold beaded fringe trim is 2" in length, not including the 3/8" gold satin ribbon. The beads are accented with seed beads also in gold. The Decor Collection is a fabulously heavy and beautiful beaded fringe trim.